Girls Travel Hockey is for girls who want more commitment than our house program, and want to play exclusively with other girls. We aim to field teams in the 12U, 14U, 16U and 19U divisions. Ice practices begin at the end of August and run through February. Games generally begin in mid to late September. 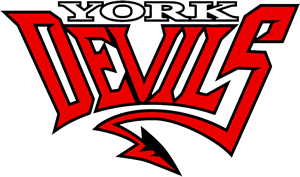 We are based in the York Ice Arena in York, PA and play a game schedule that may include regular travel throughout Maryland, Pennsylvania, New Jersey and New York. Practices are held twice a week. Most weekends will consist of one or two games. $300 evaluation fee due at time of registration, $75 for the evaluation and the remainder toward 2019-20 player fees.